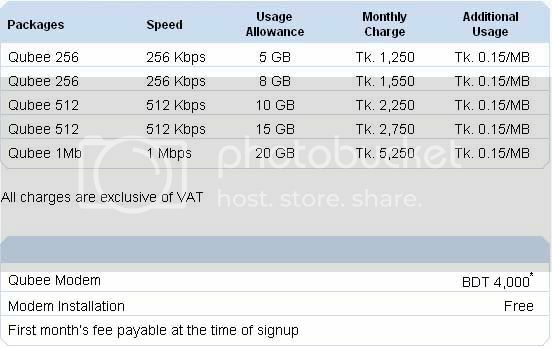 Introduction of WiMAX service in Bangladesh – QUBEE !! Making fun of People’s expectation..
Atlast the WiMAX service is on AIR for the consumers of Bangladesh ( specifically for the people in Gulshan, Dhaka ). It has been more than a year several companies got WiMAX operator license in Bangladesh. 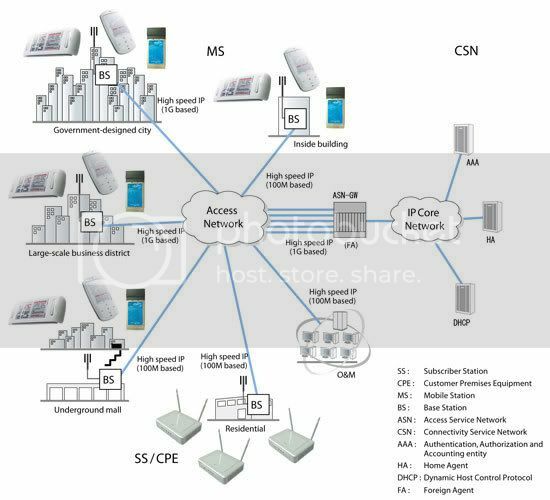 People of Bangladesh has been biting nails and waiting for a superspeed connectivity. Well they have it now. But is it like what people expected? Augere Wireless Broadband started providing their service with the name: QUBEE. I have gone through their website and I was seriously disappointed with the packages that were there in their website. People were expecting for a super fast connectivity with no restriction of internet usage. Are the Qubee packages any special different from the Citycell’s offer? If mobility is the key issue I will say Citycell will be a better choice here due to their wide coverage area. 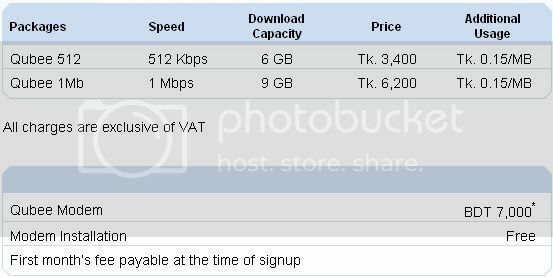 Otherwise there are many ISPs providing bandwidth to home/corporate users which are much cheap compared to Qubee. Now let’s do some math. 1 mbps = 1/8 mBps. That is, in 1 minute you’ll be able to download 60/8 = 7.5 Mega Bytes. In 1 hour : 450 Mega Bytes. In this rate Qubee’s offered 9 GB will take 20 Hours to be consumed. If you download 10 DivX Movies (around 700 MB each) you’ll be able to consume the whole data Volume. 6200 taka data plan consumed in 10 Movie Downloads!! 620 taka per movie!! Really damn smart packages. I know people will say these are corporate bandwidth and are not supposed to be used for movie downloading. Well, what is the basic difference then? Let’s consider my home Internet connection in home user’s category. I pay 1650 taka to Xnet for a 288 kbps connection. I get 30 KB (yes you are right, it’s Kilo Byte). At this rate I can download 2.6 GB per day and believe me my ISP doesn’t apply any cap on usage. Literally I can download 78 GB in exchange for 1650 taka only. Compare it with what Qubee is offering. Now let’s consider the corporate needs. Corporate offices need seemless minimum guaranteed bandwidth for their operations. Now a days renowned ISPs charge around 14 thousand taka for 512 kbps and around 20 thousand taka for 1 mbps connection. That sounds too much compared to Qubee – isn’t it? Noooo… With the 512kbps/1mbps connections from the ISPs you can download in continuous 512kbps/1mbps for the whole month and the ISP is bound to ensure that. Now you can download for 720 hours with these ISPs at 512kbps/1mbps – compared to Qubee’s 20 Hours. Why is Qubee charging so much!!! is this because of the WiMAX technology?? If that’s the benefit we were talking about WiMAX then I really doubt if it will be accepted by our Internet users or not. 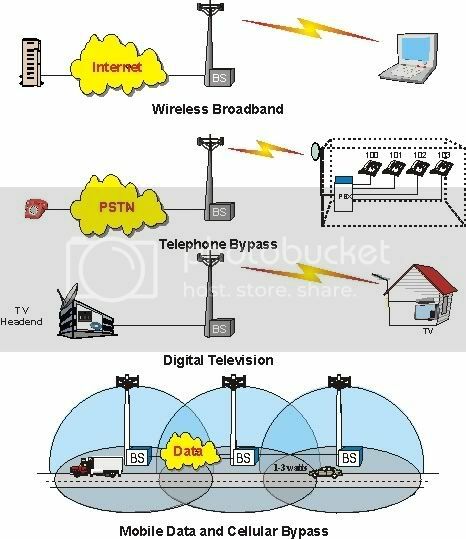 If Internet mobility is the issue, then I can say these types of mobile Highspeed internet was already there for quite a long time (ie, Accesstel’s NLOS technology, Grameen Phone’s 236 kbps Internet and Citycell’s 512 kbps Internet). If a new company launches its services with a new technology – A Buzz is required to penetrate the existing market. People will not accept this rubbish offer just to enjoy a new technology. Because when we buy or pay for anything we actually buy the services of what we are buying. Service is the important issue here. If the new technology doesn’t provide any better service, then either the company hasn’t utilized the technology perfectly or the technology itself is not efficient. But since WiMAX is running in other countries successfully we can say that Qubee’s business plan with WiMAX service is not perfect. WiMAX in Bangladesh within 3 months!! If, what I’ve seen in the TV news is true then, Bangladeshi people will enjoy WiMAX within 3 months. Mr. M. A Mannan of Bangla Lion communications in an interview after the license handover ceremony, said that they will be able to establish WiMAX network across Bangladesh within 3 months. He also added that people of Bangladesh may enjoy high speed internet along with mobile communication spending as low as 300 taka. He also added that, the allocated 35 MHz frequency will allow them to provide huge bandwidth to a greater number of people ensuring Quality Of Service. The more the people use it the cheaper it will be for them. WiMAX in Bangladesh will allow people to enjoy 65 different types of facilities through it, including high speed internet, mobile communication, video surveillance, video conferencing, distant learning etc. Even remotest part of Bangladesh will be under high speed internet through WiMAX. Augere Wireless Broadband Limited Bangladesh was the first company get the license and is also working on establishing WiMAX network across Bangladesh. Brac BDMail is the other company that has won the license, but yet to get the license due to their failure to pay the license fee. 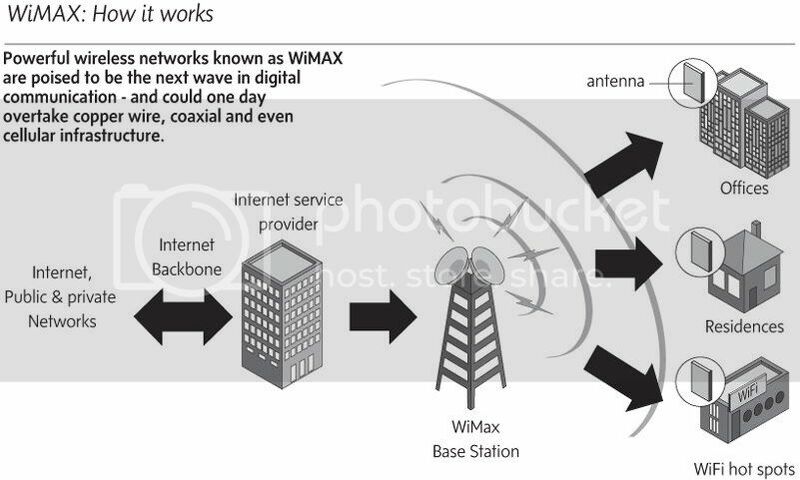 I have some diagrams and pictures that I’d like to share with you, which might help you understand the basic functions of WiMAX and how those works.